Root canals have a bad reputation in the dentistry world – but here at Peninsula Dental Care, we pride ourselves on our ability to provide effective, pain-free root canals that take care of that tooth ache once and for all. Located in Rosebud and servicing the Rye, Dromana, Sorrento, Mount Martha, Blairgowrie, Portsea, Red Hill, Main Ridge, Boneo and surrounding Mornington Peninsula areas, we are the family dentist to trust with your smile. Contact us today on (03) 5981 2255 or book online peninsuladentalcare.com.au to book your appointment with one of our friendly members of staff. Root canal treatment is a dental procedure that allows the patient the chance to save one or more of their precious teeth. All kinds of bacteria can enter our mouth on a daily basis, and some of this may reach the nerve of a tooth. In this situation, a regular dental filling may no longer solve the problem, so the patient can either have the tooth extracted or undergo a clinical procedure called a “root canal”. The root canal treatment gives the patient the assurance that the tooth can be saved while no longer experiencing pain or infection because the infected or dead nerve is removed after two or three sessions. A root canal treatment should not be regarded as painful. At the Peninsula Dental Care clinic, the patient undergoing this type of dental procedure will be given local anaesthesia to numb the affected area, providing a painless experience. 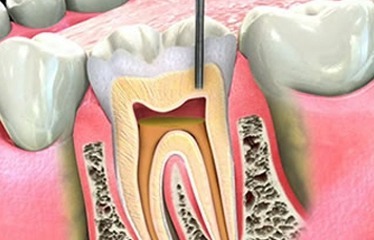 The root canal treatment is the best option to save a tooth and get rid of the pain. We pride ourselves on our exceptional quality of care and wide range of dental services – two reasons why Mornington Peninsula families have trusted our team with their smile for years. On top of root canals, we also provide a number of dental solutions including – but not limited to – wisdom teeth removal, veneers, crowns and bridges, teeth whitening, dentures and dental implants. Our priority is always on your comfort and wellbeing, so whether you’re experiencing jaw pain or simply want to come in for a check-up, you can always trust that our team will make it a positive experience. If you’re from the Rye, Dromana, Sorrento, , Mount Martha, Blairgowrie, Portsea, Red Hill, Main Ridge, Bone or Mornington Peninsula area, call our Rosebud clinic today on (03) 5981 2255 or book online www.peninsluadentalcare.com.au to book your next dental appointment.